Spending time together as a family, far away from your hectic everyday life – that’s what a farm holiday in Salzburger Land is all about. Here at the Klausbauer Farm in the Ellmau Valley in Grossarl you’ll not just be able to experience alpine nature up close, but life on the farm too. 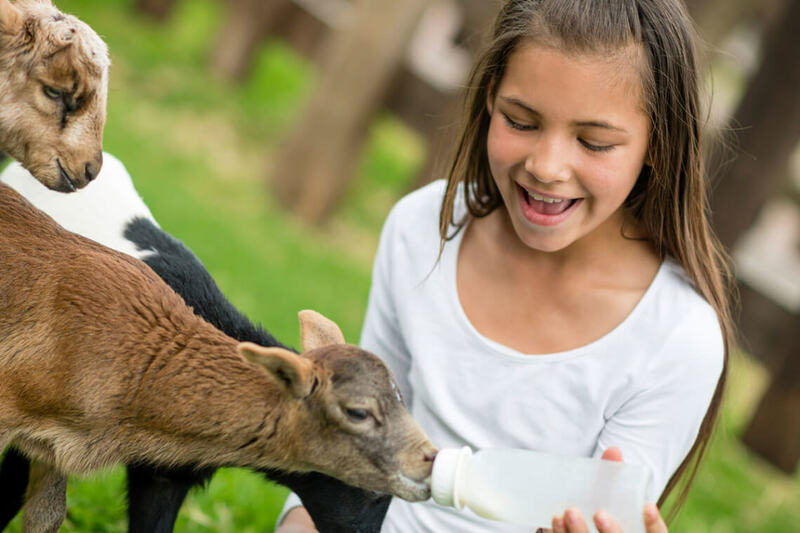 Savour our home-made farm produce, help out feeding the animals and let your children play without a care in our playground surrounded by nature. Meanwhile you can enjoy the warm sunshine on our cosy terrace. You’re also welcome to make use of our garden barbecue free of charge. 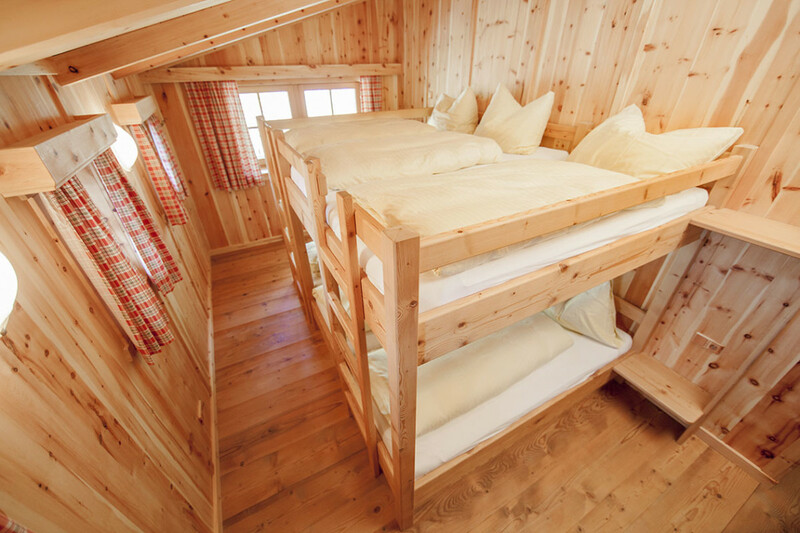 As a special “summer treat” we offer one free overnight stay at our alpine hut at an altitude of 1,769 m (on stays of min. 5 nights). Helping out in the stables is particularly great fun for our younger guests. Your children learn all about farm animals in a playful way. The cows, calves, goats and pigs look forward to their tasty treats. Our rabbits and cats love to be stroked by guests of all ages. 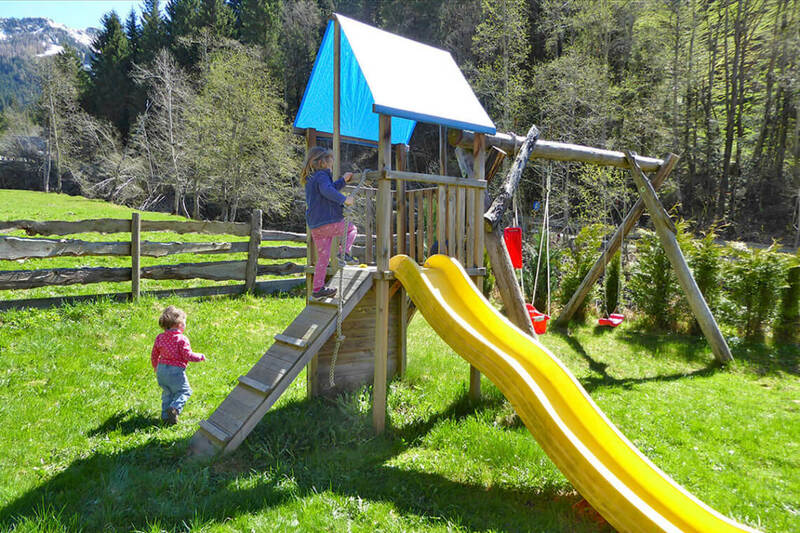 Far away from busy roads your children can enjoy nature in Grossarl on the swing and rocking horse, on the slide, digging in the sandpit or playing table tennis. Parents can relax on comfy loungers, whilst the barbecue sizzles away. On rainy days table football, books and a selection of games will keep you amused indoors. In summer when you stay at least 5 nights one free overnight stay at our own Loosbühelalm alpine hut is included. At an altitude of 1,769 m exciting experiences await. 9 rooms sleeping 2 – 6 persons, the hut delicacies and the large playground with petting zoo ensure you have a great time. On the terrace you can savour the sunshine. A farm holiday can be quite exciting – take time to unwind: relax in our infra-red sauna. The steam shower with massage jets feels really good. Test your limits on the fitness bike and get the sweat pouring.